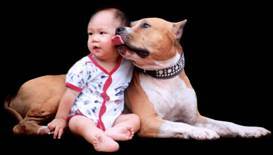 The INTERNATIONAL AMERICAN PIT BULL TERRIER FEDERATION is known internationally with the name FIAPBT. 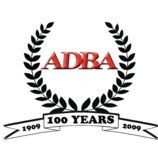 Its principal objective is the defence of the American Pit Bull Terrier, its enthusiasts and breeders, in those countries which propagate laws against it, like the Law BSL, DDA, PPP, etc. La FEDERACION INTERNACIONAL DEL AMERICAN PIT BULL TERRIER es conocida Internacionalmente como FIAPBT. Su principal objetivo es la defensa del American Pit Bull Terrier, sus aficionados y criadores, en aquellos países que tienen Leyes en su contra, como son la Ley PPP, BSL, DDA, etc. 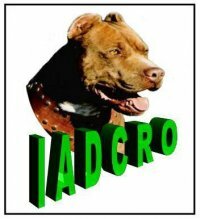 The INTERNATIONAL ASSOCIATION FOR CANINE DEFENCE AND THEIR RESPONSIBLE OWNERS, is known internationally as IADCRO. Their principal objective is the defence of ALL those breeds dogs which suffer discrimination and persecution by the unjust, absurd and inefficient Laws against dogs which exist in some countries, like the Law BSL, DDA, PPP, etc. simply by the fact of belonging to that breed. La INTERNATIONAL ASSOCIATION FOR DEFENSE CANINE AND HIS RESPONSIBLE OWNERS (ASOCIACION INTERNACIONAL DE DEFENSA CANINA Y SUS DUEÑOS RESPONSABLES), es conocida Internacionalmente como IADCRO. Su principal objetivo es la defensa de TODAS aquellas razas caninas que sufren discriminaciones y persecuciones, por las injustas, absurdas e ineficaces Leyes que existen en algunos países en contra de los perros, como son la Ley PPP, BSL, DDA, etc. simplemente por el hecho de pertenecer a alguna de estas razas. @ ENDANGERED BREED ASSOCIATION (E.B.A.) ASOCIATION OF SPECIES IN EXTINCION DANGER. @ "Ya no creo en la TV" -- "Already I do not believe in the TV"
@ Somos victimas no asesinos ¡AYUDANOS! VILLA LIBERTY KENNELS. 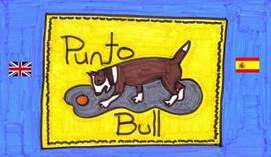 Breeders of American Pit Bull Terriers located in Madrid, Spain. At Villa Liberty kennels, they work hard to conserve in their most pure state the three bloodlines pertaining to Tudor´s “Dibo”. Being as they are PATRIMONY OF THE BREED as it would be a great loss to them if they ended up disappearing as has occurred with many other genetic blood lines. The blood line that work Villa Liberty kennels for its conservation are the next ; 1- Dogs pertaining to the CARVER Blood. 2- Dogs pertaining to the HEINZL blood 3- Dogs pertaining to the RED PIT blood. VILLA LIBERTY KENNELS. Criadero de American Pit Bull Terrier ubicado en Madrid, España. En Villa Liberty kennels, trabajan para la conservación a través del paso del tiempo, de aquellas ramificaciones genéticas procedentes de Tudor´s “Dibo” en su estado más puro del APBT, siendo PATRIMONIO DE LA RAZA MISMA y que consideran que no deberían desaparecer, como desafortunadamente ya ha ocurrido con numerosas extraordinarias genéticas del APBT. Las ramificaciones genéticas que trabaja Villa Liberty kennels en su conservación son; 1- Los perros de CARVER. 2- Los perros de HEINZL. 3- Los descendientes de RED PIT. Durable Bite Protection Suits - Durable bite suits for professional dog training, as well as jute bite sleeves, french linen tugs, rubber dog balls, leather collars, nylon harnesses, metal cage muzzles and other high-quality dog stuff. Schutzhund Bite Sleeves and Covers - Super strong jute or french linen dog bite sleeves as well as agitation training muzzles, comfortable Nappa padded leather harnesses, 2 ply leather collars and other reliable dog equipment. Nylon Dog Leads with Brass and Nickel Hardware - Best choice of multifunctional nylon and leather dog leashes, as well as dog pull tabs and couplers. Decorated Spiked Leather Dog Harnesses - Best selection of stylish spiked leather harnesses and well as studded or handpainted harnesses. Nylon harnesses are also available. Up-to-date Muzzles for Police Dogs - Wire basket and leather dog muzzles as well as durable nylon harnesses and chain collars are available in this online store at reasonable prices. Fire Hose Dog Bite Tugs - Easy training and playing dog bite tugs as well as solid balls, puppy sleeves, training bite suits, chain collars and other top-quality dog gear. - www.mundoAnimalia.com “Lugar de referencia en el ámbito de los animales domésticos y punto de encuentro entre comunidades afines al sector; ya sea a nivel profesional, como propietarios o simplemente como aficionados a los animales”. - www.amordemascota.com Portal educativo para tu mascota . Articulos sobre todos los animales, su cuidado y consejos para conocerlos mejor. @ LINDA BLAIR @ http://www.rescatecanino.com @ RIOS´ PIT BULL KINGDOM @ FUNDACIÓN ALTARRIBA. DEFENSA DE LOS DERECHOS DE LOS ANIMALES. @ http://hugabull.com Good job!!! https://www.homeoanimal.com/the-ultimate-guide-to-pet-adoption Thank you!!! Pit Island Knl's of N.Y.